SUNNYdays Prestige Travel is always happy to be part of someone's adventure. 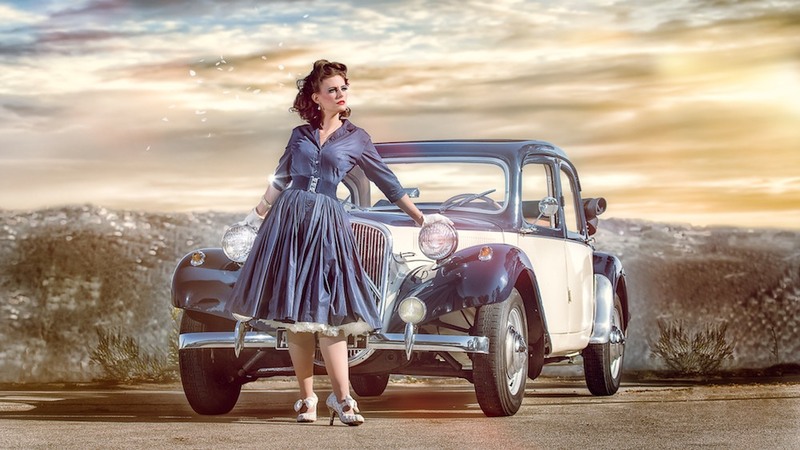 Pinup model Lily Bellule is on a quest to be crowned Miss Las Vegas. 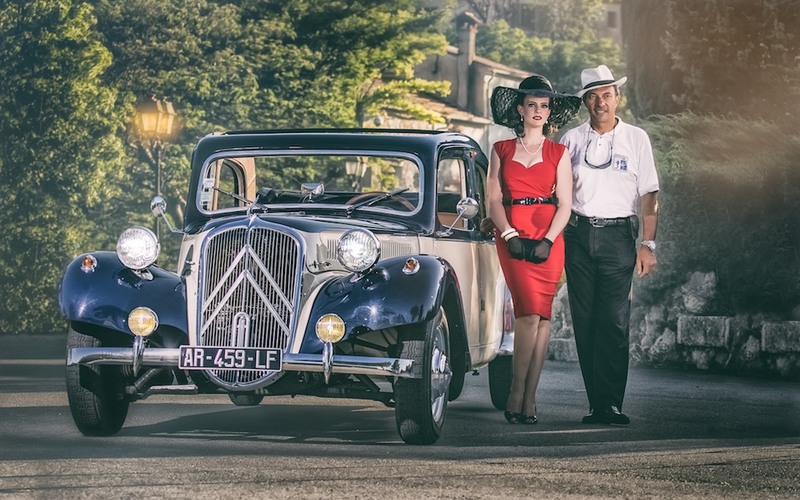 For part of her photo shoot as a contestant, SUNNYdays Prestige Travel provided her with our Citroën Traction, and the resulting photos are incredible. 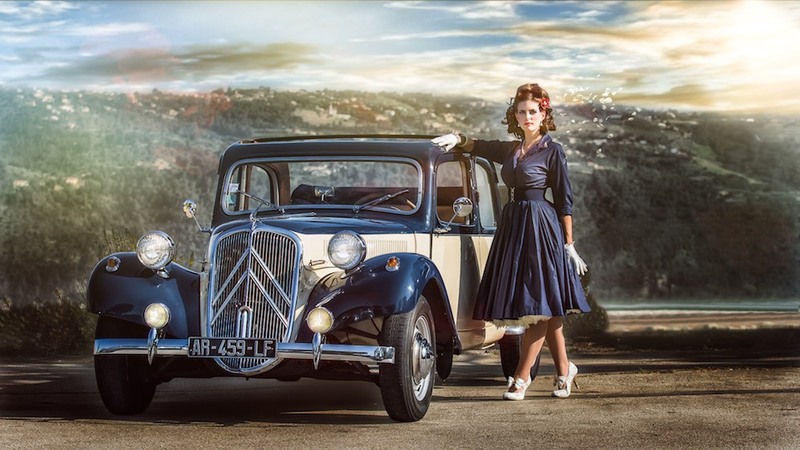 Our iconic Citroën matches perfectly with Lily's classical beauty, don't you think? Anyone know who the dashing young man in the photo above is? That's right, it's our very own Salvatore, founder of SUNNYdays Prestige Travel! 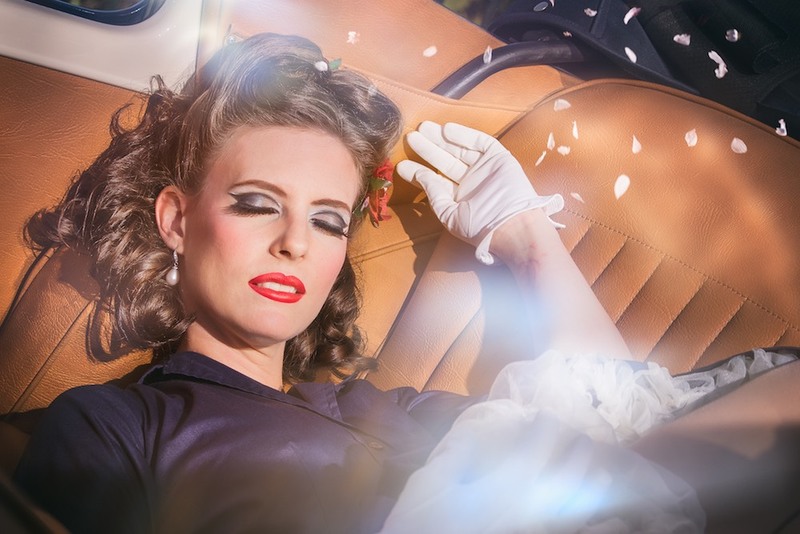 Our huge thanks to Lily Bellule and her photographer, Eric Champs, for allowing us to show you these wonderful images. And, of course, don't forget to share our blog!